Most of us understand the uses of black steel pipe, but few of us know about its unmatched durability. In fact, the steel used to make the pipes are different from each other. Accordingly, the pipes are endowed with different properties. Almost all of them could be used to convey liquid and gases, but the ability to bear pressure is not all the same. Thanks to the durability, series of industries own the benefits. 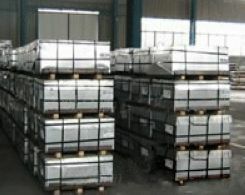 Being made from the mixture of alloy, the properties are determined by the content of different materials. While using them to covey waste water or drinking water, these pipes are buried underground. Thus, they need to withstand a lot of pressure. Furthermore, while they are used in construction field, the strength should be enhanced. 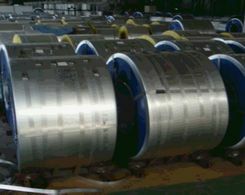 In steel pipe manufacturing enterprises, carbon steel is one of the most popular materials. The durability makes it could be used to convey gases, oil, water and sewage. In addition, even though they are not as stable as the plastic pipes, they could be used to convey several types of chemicals either. The amount of carbon in the steel could be changed. 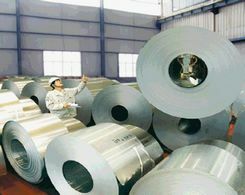 Accordingly, the hardness of the steel is varying. Since different industries need the pipes with different hardness, the amount of carbon should be managed carefully. While being used to transfer water from location to location, the ability of anti-rust seem to be extremely important. Without rusting, they would not drop impurities to the drinking water which insures our health. The seamless steel pipes are popular for their excellent performance in combating pressure. Due to the lack of forgings, it is impossible for them to crack or break at joints while being subjected to huge pressure. Furthermore, these pipes could simplify the trouble when you need to install them in cold areas.